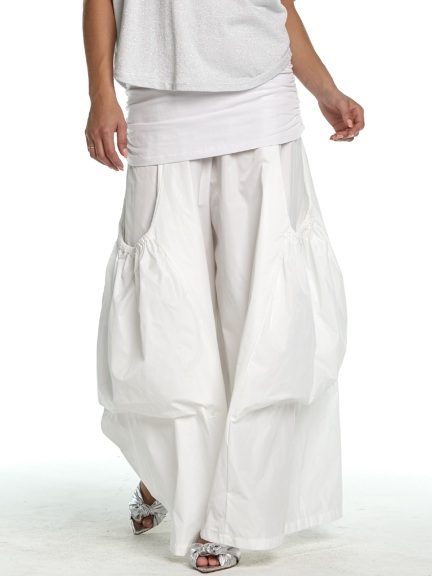 A pair of wide, cropped pants feature an elasticized waistband, cargo pockets and fluid silhouette. Made in the U.S.A. of 100% lightweight, soft nylon. The colors Black, Chalk, Oyster & Vanilla are available in any out-of-stock size as a Special Order, estimated to ship on May 26th for orders placed today.